The proverbial other shoe dropped in the case of Las Vegas casino mogul Sheldon Adelson, who secretly bought the Las Vegas Vegas Review-Journal after days of denial. The newspaper’s columnist John L. Smith resigned in protest after being told he could not write about Adelson or Steve Wynn, both Vegas casino magnates who unsuccessfully sued Smith for libel and drove him into bankruptcy through legal fees. The paper’s editor, J. Keith Moyer, argued that it would be a conflict of interest for Smith to write about two of the most powerful men in town, who had sued him, not for his work on the newspaper, but for books he had written about them. The one mentioning Adelson was titled “Sharks in the Desert.” The other book was titled “Running Scared: The Life and Treacherous Times of Las Vegas Casino King Steve Wynn.” Clearly, neither book offered much sympathy for either power player. But this is a story about fabulous Las Vegas, a town with an explosive history of gambling, gangsters, show-business megastars, showgirls and entertainment. It’s in a constant state of drama or turmoil. All you have to do is walk through the downtown casinos at 3 a.m. and see the action on the roulette and blackjack tables to know things don’t slow down there. The drama turned up a notch when Smith posted his resignation letter around the Review-Journal offices, now owned by his rival Adelson. Moyer told Politico Media reporter Peter Sterne that Adelson was not responsible for barring Smith from writing about Adelson or Wynn. Powerful men don’t always mandate such changes. Cautious underlings might find them necessary just to be on the safe side to avoid annoying the boss. “What began as an abstract fear of a powerful new owner’s political hand wanting to steer the paper’s news coverage, after Sheldon Adelson was revealed as the secret buyer of the Review-Journal in early December, has become a reality,” wrote Doctor. An ironic twist in this turn of events is that the Review-Journal staff, through aggressive reporting, “outed” Adelson as the mystery buyer, the first media organization to do so. For this, seven members of the staff, including Smith, were awarded the Ancil Payne Award for Ethics in Journalism, which is presented by the University of Oregon School of Journalism and Communication. The board is likely to find a newspaper that is less transparent. Doctor pointed out that soon after Adelson took ownership, it looked like the newspaper was getting its house in “better journalistic order” by hiring 30 journalists to fill out a depleted newsroom. Also, the newspaper published a set of principles clearly outlining how the paper would cover its new owner and printed those principles daily on page three. A new publisher, Craig Moon, removed those published principles on his first day, said Doctor. “It’s near impossible to overestimate the depth of the conflict involved in the Adelson ownership,” wrote Doctor. He is a major player in the gaming industry in Las Vegas, Macau and Singapore, a top donor to Republican Party candidates, an Israel advocate and booster of a local football stadium. It’s not unusual for publishers to request seeing any mention of their paper or its ownership before publication, Doctor said. “In standard practice, that’s intended as a heads-up for the business side, and not an invitation to make story changes that make the ownership or management look better,” Doctor wrote. But Adelson’s purchase of the newspaper is far from business as usual. A newspaper’s duties are pretty well laid out in the Society of Professional Journalists code of ethics. The question is how well a powerful casino mogul can resist temptations to tamper with the newspaper’s content. 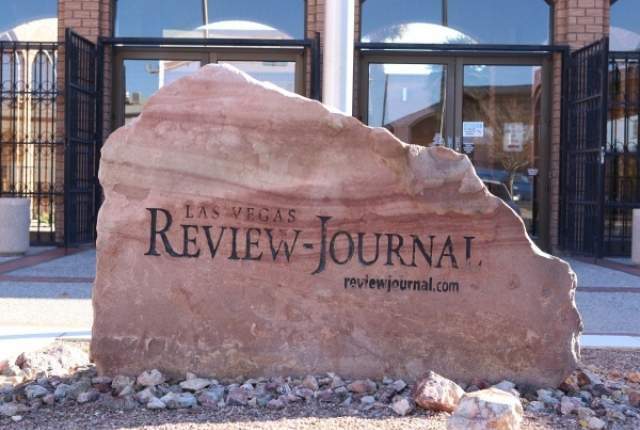 Some observers say that was Edelson’s intent in buying the Las Vegas Review-Journal, regarded as Nevada’s biggest news source through print and digital. This puts a new spin on the power of the super rich these days: Buying and muzzling competition to control what is said about them. This is a different kind of censorship. It is made possible by the weakened state in which journalism finds itself, economically too feeble to fend off overtures to absorb what is left by anyone with enough money to do it.